Lotus Notes is a popular email application by IBM. Due to changing market trends and business requirements, most of the organizations and individuals are migrating their Lotus Notes mailbox data to MS Outlook. Because of its user-friendly, easy data management & security features, MS Outlook is preferred over IBM Lotus Notes. So, for migrating from Lotus Notes to Outlook, you can use a free utility by Microsoft i.e. Exchange Server Migration Wizard. Follow the article to know step by step process. Before proceeding with the manual solution, it is must to know about the file formats supported by both the email applications. IBM Notes supports NSF (Notes Storage Format) files to store the mailbox data items. On the other hand, MS Outlook supports PST (Personal Storage Table) file format to store various data items like emails, calendars, contacts, journals, etc. To migrate Lotus Notes database to Outlook, follow manual approach as discussed. Click on Start >> Programs >> Microsoft Exchange >> Migration Wizard. Now click on the Next button in the Exchange Server Migration Wizard. Select Migrate From Lotus Mail and then click Next. Click Next to acknowledge the coexistence of the connector. Select the Extract Migration Files Only check box and then on Browse button. Navigate to the location where you want to save the extracted data. Then click on the Next button to convert Lotus Notes NSF file to Outlook PST. Click on Browse in the Access Information box. Now specify the location of the Mail files and then click on OK button. Select the options you want to move in Migration Information box and then hit on Next button. Now select the accounts to migrate in Migration Information box and then click Next. You can also move multiple accounts by Select All option. The Migration process begins and will show the users and mail data extracted. Then click on Finish button. Now at last click on OK button after getting the notification to check the application event log. Click on Start >> Programs >> Microsoft Exchange >> Migration Wizard for migrating from Lotus Notes to Outlook. Click on Next in the Exchange Server Migration Wizard. Select Import from Migration Files and then click on Next button. Click on Next button. Select the option to migrate to Outlook in Migration Destination box. Then click on Next button. Now specify the location of the file in the File Location box. Click and open the PKL file and then hit on Next button. Expand the directory tree and click on Users Container in Container for New Windows Accounts box. Select the option for password generation and click Next. All the selected mail accounts will be displayed in Windows Account Creation and Association. Then click on Next button. Now Migration Process box displays the importation of users and email data. After the complete migration process, click on Finish button. Now you can access Lotus Notes mailbox data in MS Outlook. The wizard cannot move encrypted emails and custom applications from NSF database to Outlook. After migration, the messages will be lost as it cannot access the private key codes to encrypt and decrypt the files. The process is lengthy and confusing for a non-technical person. You cannot migrate huge amount of data. You cannot migrate large NSF mailbox of size more than 1 GB as there is a size limitation on the size of data. It is difficult to get the entire NSF database items in MS Outlook email client safely with the help of Exchange Server Migration Wizard utility. As there are many limitations of using this free utility. But there is a possibility of migrating from Lotus Notes to Outlook by an expertise solution. Use an automated tool to migrate Lotus Notes Emails to Outlook. 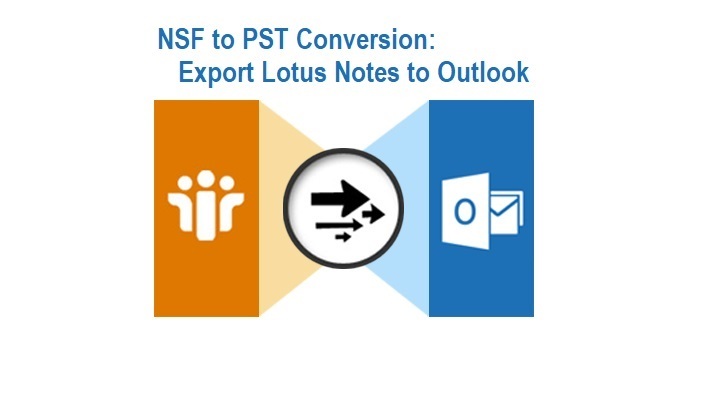 You can convert unlimited Lotus Notes NSF files to Outlook PST format. A user can get the data without any data loss. With the help of this tool, you can access all the Lotus Notes emails, contacts, drafts, attachments and other mailbox items in MS Outlook. It can also migrate encrypted emails. The software is compatible with Lotus Notes 9.0 and all the below versions as well as all the versions of Microsoft Outlook. As discussed, Exchange Server Migration Wizard is a good method if any user wants to migrate the data within the file size limit of 1 GB. But when it comes to moving encrypted emails then this utility won’t work. Then you can opt for the professional tool for migrating from Lotus Notes to Microsoft Outlook and perform effortless conversion of unlimited Lotus Notes NSF to PST Outlook in minimum time with complete accuracy.